Kikuchi offers Japanese traditional dyeing experiences in Tokyo. Guests can participate in garments dyeing classes and make their own tie dyed t-shirts, hoodies, and cloths. Enjoy Weaving Experience at an Atelier in Asakusa, Tokyo! Enjoy Dyeing Experience at an Atelier in Asakusa, Tokyo! Easy instructions to understand. Step by step guide for product of choice. You may top up to other items instead of the basic handkerchief (ie tote bag, shirt). Knowledge of product by the owner and staff was very good. Would recommend for an interesting day activity. This was a very fun and quick experience. It only takes about 40 min to a hour, and you get make your own cool souvenir to bring home. The location is near Asakusa, and there are quite a few things to see in the area for travelers. 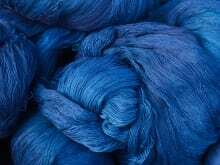 Its easy to just include the indigo dyeing experience as part of the Asakusa day/itinerary. Highly recommend this activity!